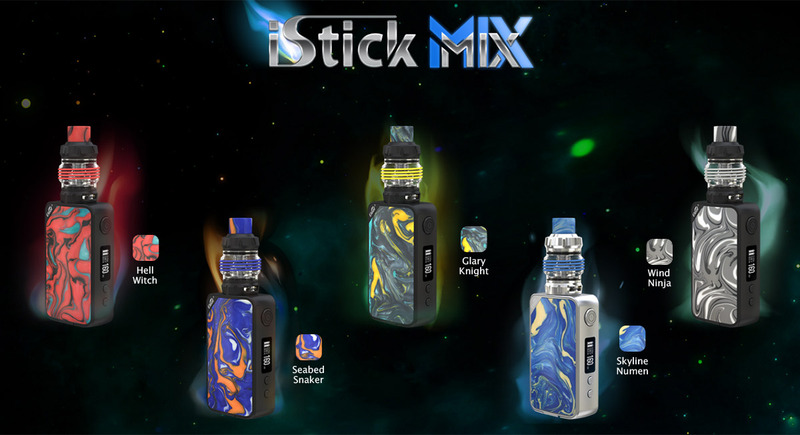 Eleaf iStick MIX Kit consists of iStick MIX Mod and ELLO POP Atomizer. Comes with smooth feel because of the ergonomic design. Powered by dual 18650 batteries, it can fire up to 160 watts of power. As for the ELLO POP Atomizer, it adopts a newly kind of HW/M/N coils, so the kit can create huge clouds and intense flavor. With the top filling system, you just need to slide the top cap back to reveal the fill port. Together with the unique silicone ring protections, it makes the atomizer touch feeling good. 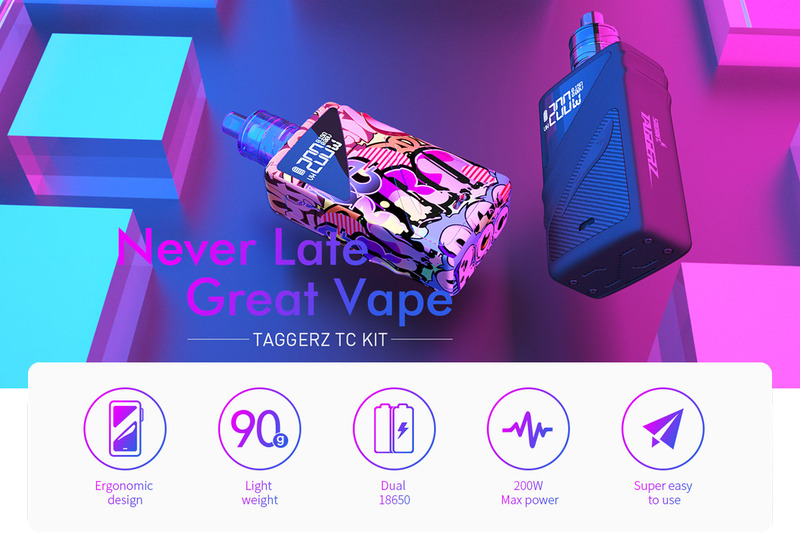 The Smoant Tagger 200W Starter Kit is built with simplicity in-mind, deploying an ultra-lightweight dual 18650 platform with intuitive 0.96 inch OLED screen with full temperature suite to pair with the TAGGERZ Sub-Ohm Tank. In addition, the Smoant TAGGERZ features two 18650 batteries, sold separately, that fit within the sliding magnetic battery bay door to give the TAGGERZ an operating wattage range between 1 and 200W to fire the atomizer choice at the top efficiently and effectively.